Now, as it’s my hometown, I’m allowed to say this: Coventry hasn’t always been all that great. Yes, we have a faaaancy cathedral, a really good Primark and, er, ME – but one area it’s seriously lacked all of my life has been its bar and restaurant scene. Thankfully, the influx of students and the new City of Culture win has led to several new venues springing up in recent years. 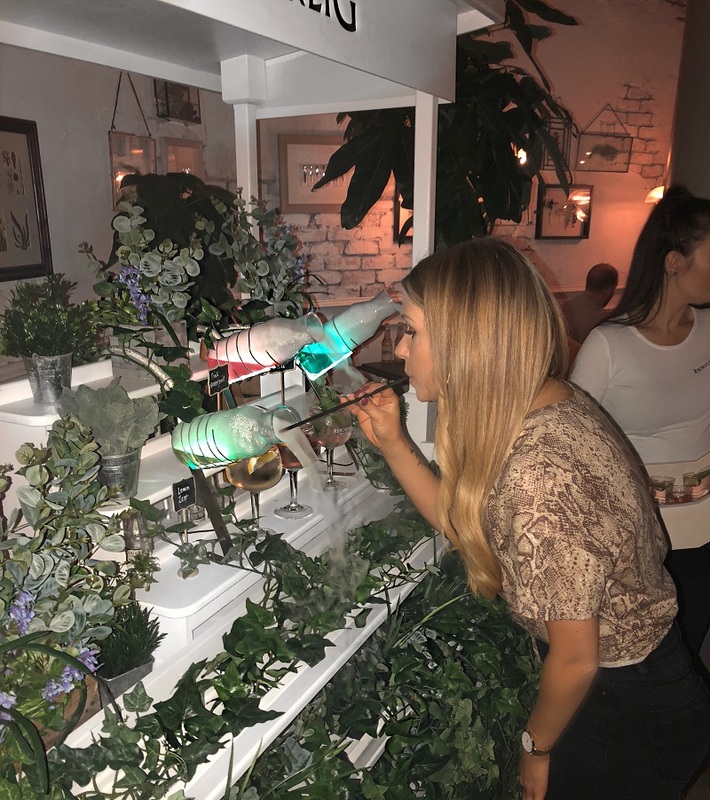 And last week, I was invited along to the opening of the latest: The Botanist. 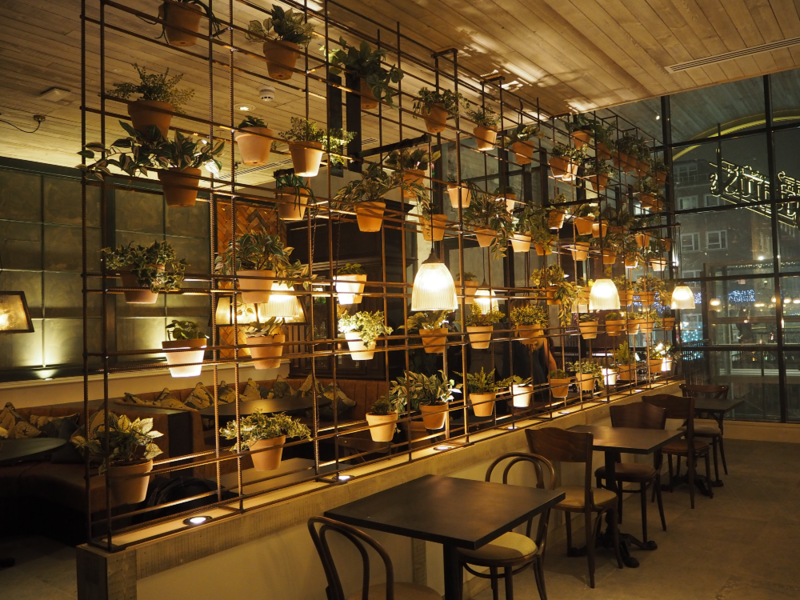 The new Botanist is located in Cathedral Lanes. 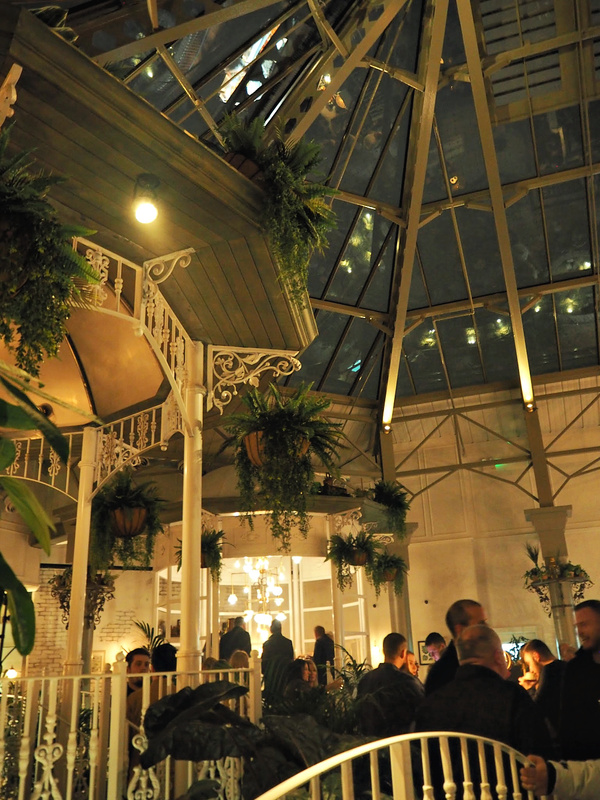 It was amazing to see how the interiors of the dishevelled old shopping centre have been transformed into a secret garden-esque venue, complete with mezzanine dining area, plush booths and an indoor stream (yes, stream – and to think the most exciting thing in there used to be the kids’ carousel). 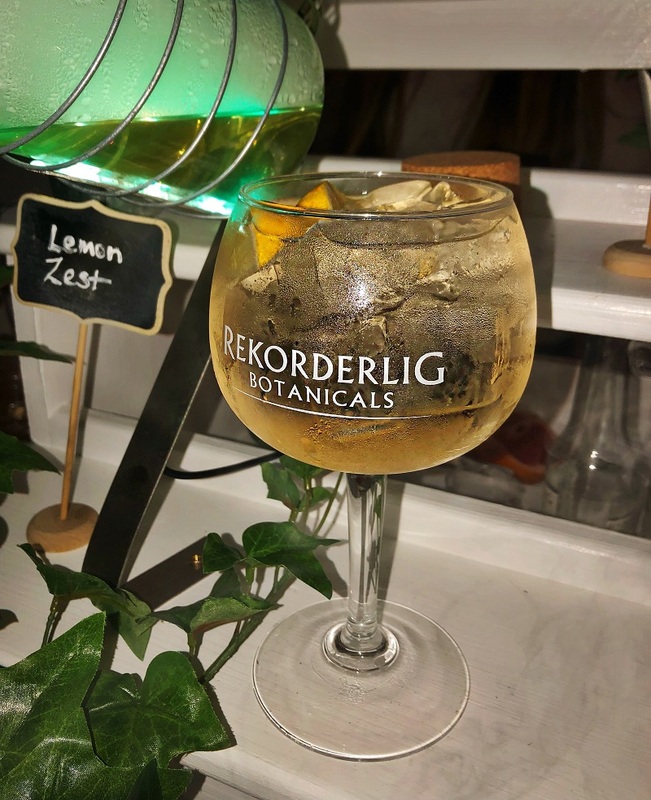 The opening night event was celebrating not only the new bar, but also the partnership between The Botanist and Rekorderlig cider. 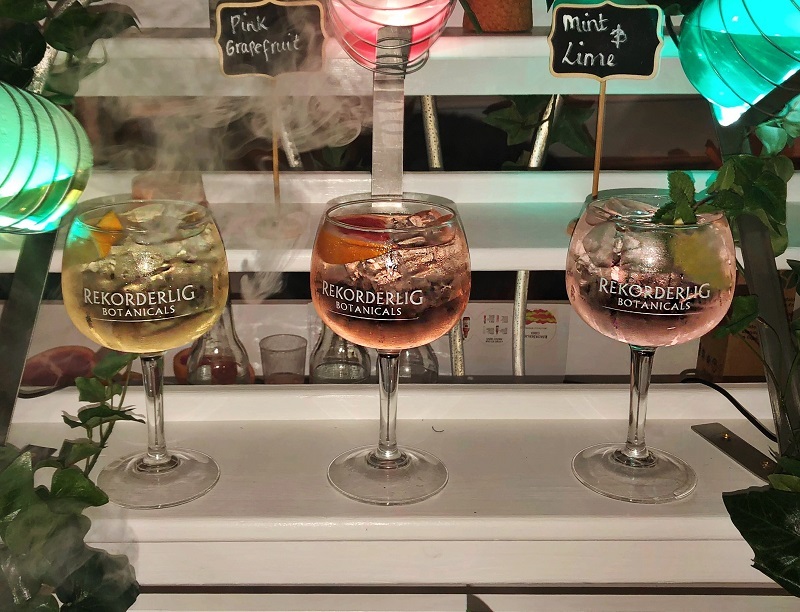 Now, Rekorderlig is already one of my favourite drink brands, so when I heard that there are 3 new flavours launching I was SHOOK. 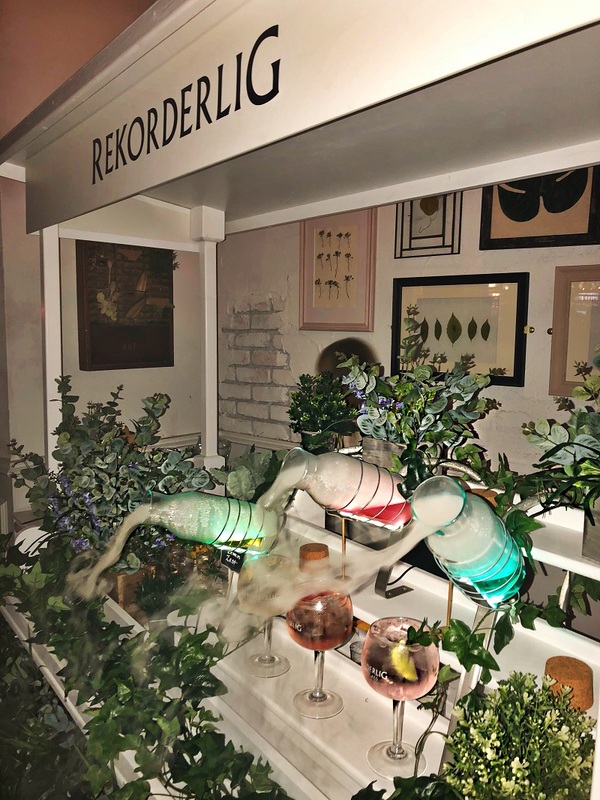 To showcase the new Botanicals range, Rekorderlig had a stunning pop-up bar at the event. This included a unique tasting station, where you could find out all about the new flavours and enjoy some of the key ones that feature in the new range. So, what did I learn? 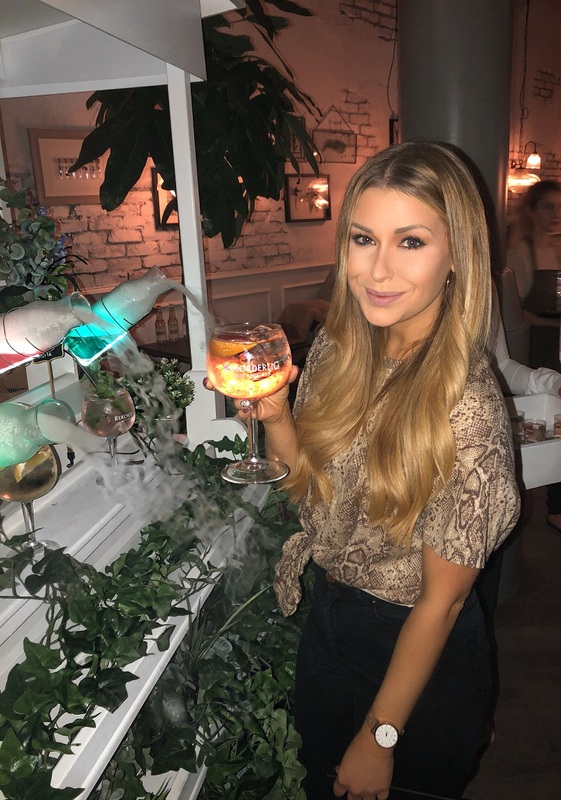 One, that I am really bad at trying to pose for a photo while drinking (please see evidence below), and two, that the new range is probably going to become my new favourite drinks. 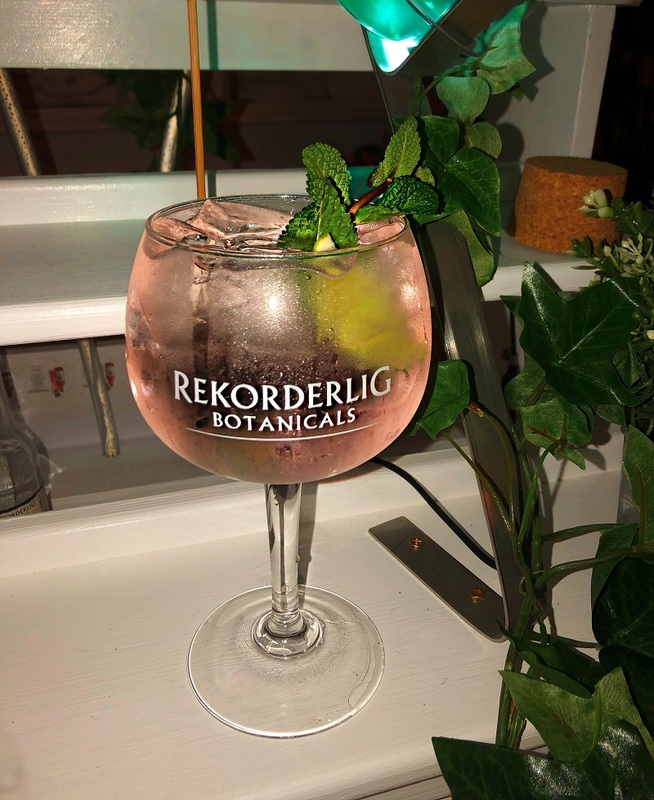 The Botanicals range is all about celebrating the brand’s Swedish heritage. They’ve blended the purest Swedish spring water with some of the country’s lesser known flavours, such as rhubarb and basil. 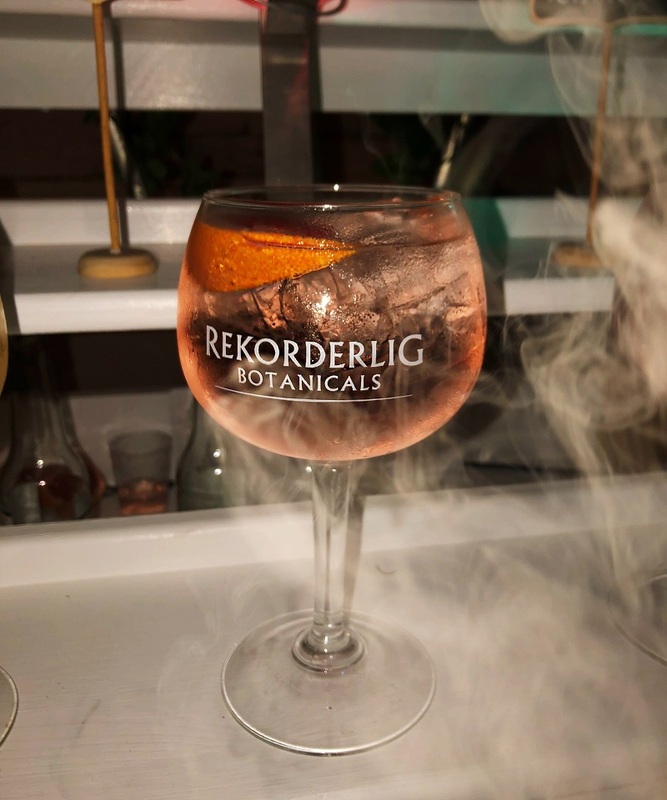 By combining fruits and herbs, they’ve created some truly unique flavours. They come in slim, 330ml bottles and each is delicious served over ice. 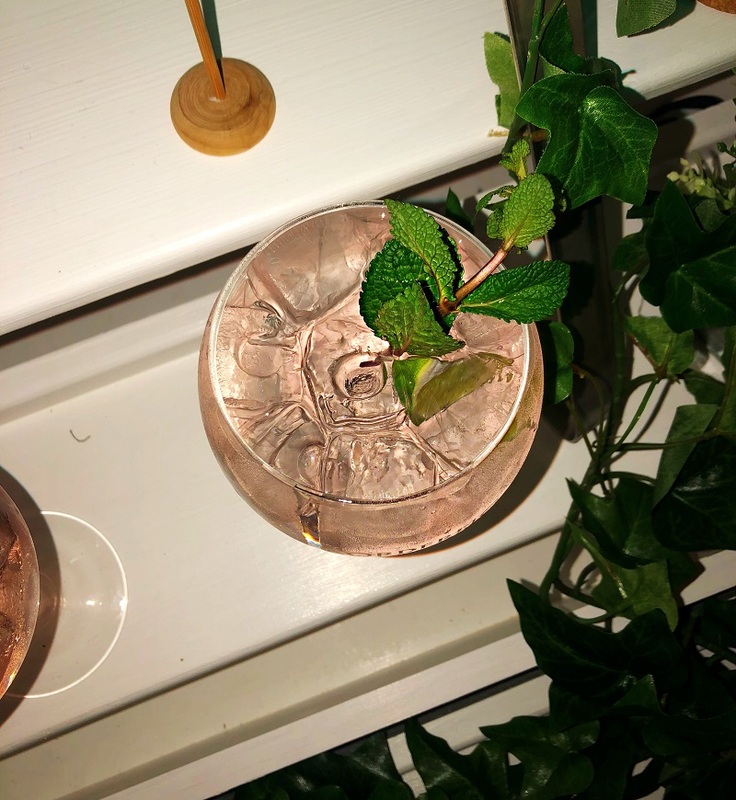 I think what I really love about them is how light they are – I’m a huge fruit cider fan, but usually you can only have a couple before the sweetness gets a bit overpowering and/or you feel bloated enough to be rolled out of the pub. These are so perfectly balanced and refreshing that I think you could easily sip them all evening. 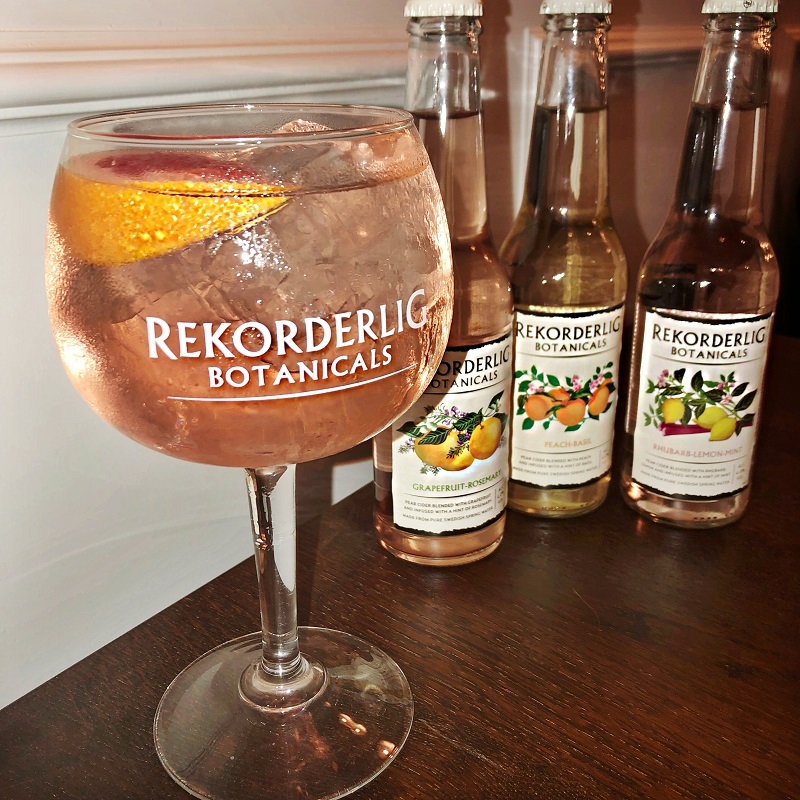 Trying the new Rekorderlig range was the perfect way for me to spend my first – of what I can already tell will be many – nights in the new Coventry Botanist. Once we had sampled the new flavours, Lauren and I headed off to explore the rest of the bar and also got to enjoy some samples from the new menu. All of the tasters were delicious, and with things such as build-your-own deli boards and hanging kebabs on the menu, I already can’t wait to go back for a proper meal. 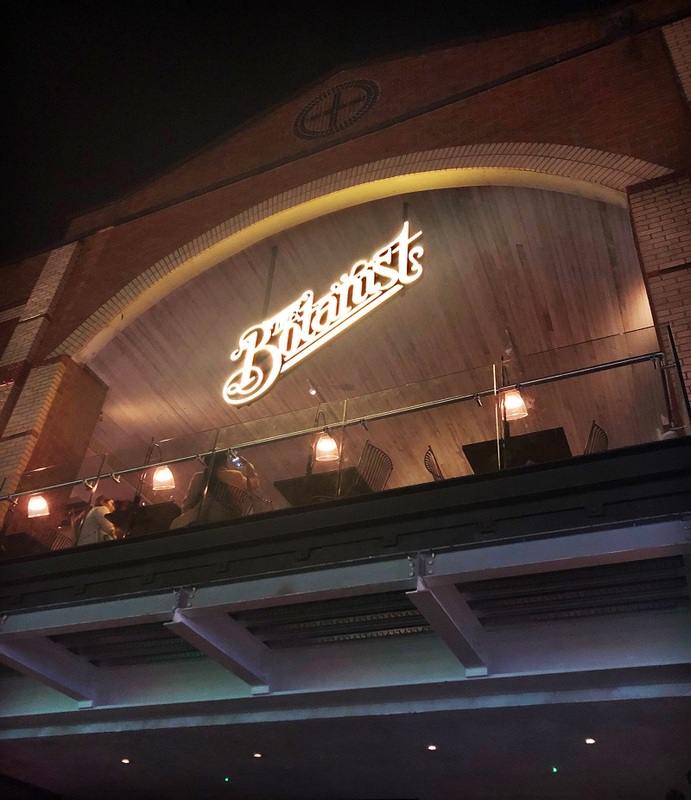 The Botanist is now officially open, and with late closing times at the weekend and live music, I know it’s going to be one of the most popular places in town already. You can find out more, look at the menus and book your tables here. 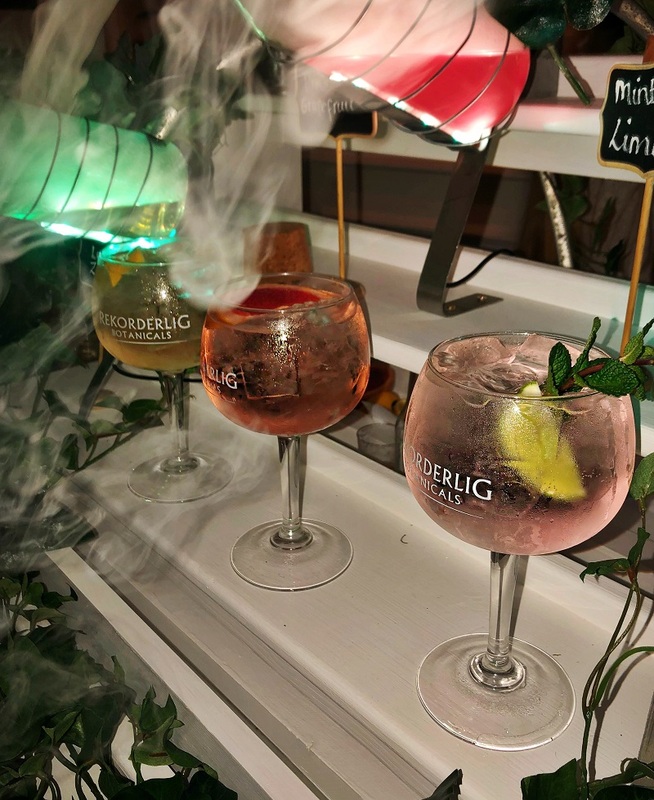 Thanks to Rekorderlig for inviting me to the opening! While this post is sponsored, all opinions are my own. I love The Botanists they are such a good experience!